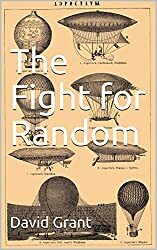 In four screenplays, a short stage play, a long essay, a novella and a novel I consider the pros and cons of using sortition (random selection) to ensure that policy-making bodies accurately represent the people they serve. 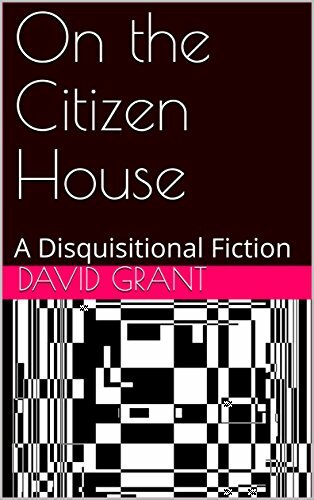 On the Citizen House: A Disquisitional Fiction is a novella of ideas in the form of socratic dialogue wrapped up in a road trip. Formatted as a proto-screenplay, description is sparse, characterization thin. Dialogue and visuals dominate. The Citizen House is the world’s first national legislature chosen as the original Athenian democrats did — by sortition (by random selection). Two representatives face the challenges of advocating for their disparate views (eugenics / universal basic income) in a legislature demographically more reflective of the entire population than any other. Most of what is written about sortition, or what I prefer to call fetura, is academic or polemic, but I have recently published a novel in which it features prominently. You might enjoy reading how this might unfold in the real world, or at least the real world of alternative history science fiction. 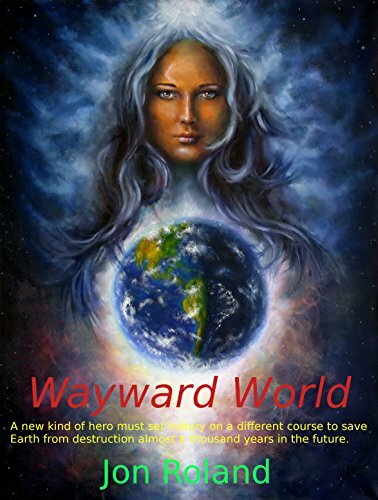 Wayward World: A new kind of hero must set history on a different course to save Earth from destruction almost a thousand years in the future. You don’t need a Kindle device to read it. Almost any browser will do, with a plugin, or get the app. This is a fundraising project for the Constitution Society. All the revenues go to it. Still making some minor edits to it that should be live in a day or so. Internet slow for you? If you can get to the book, reading it can give you something to do while you wait. An interstellar planet is on a collision course with Earth in 1000 years. To get humanity ready to divert it, human technical progress needs to be advanced more rapidly, and history will take a wrong turn in 1265. Our heroes have to take Earth on a different course, without being around for the entire thousand years, so they have to set up institutions that can continue to move things forward and avoid several disasters that will set humanity back even further. They face strong resistance and many hazards, but are led by one who has the skill and charisma needed, if she can survive long enough. One of the advantages of the Kindle edition is that it has live links to many web pages that provide background on much of the content discussed in the chapters. St. Louis, Missouri, 18 October: A world-wide movement towards establishing legislative bodies that are fully representative finds expression in the staged reading of “Our Common Lot” by David Grant. The short play is written for an international conference, “Democracy for the 21st Century,” to be held in December at the Library of Alexandria, Egypt. In the original Athenian democracy, sortition was regarded as a principal characteristic of democracy. Most recently the city of Melbourne, Australia has used a random sample of citizens to determine its ten-year financial plan. Two-thirds of the recent Irish Constitutional Convention was composed of sortitionally-chosen citizens. The reading of “Our Common Lot” is its world premiere. The ensemble includes Adam Flores, Carl Overly, Jr., Erin Roberts, and Jacqueline Thompson.